What I set out to create. I wanted to create a short horror experience with a focus on atmosphere by using lightning and scripted events. I decided to create a short level inside of a derelict subway station where the player would only walk and experience the level and event that took place inside of it. 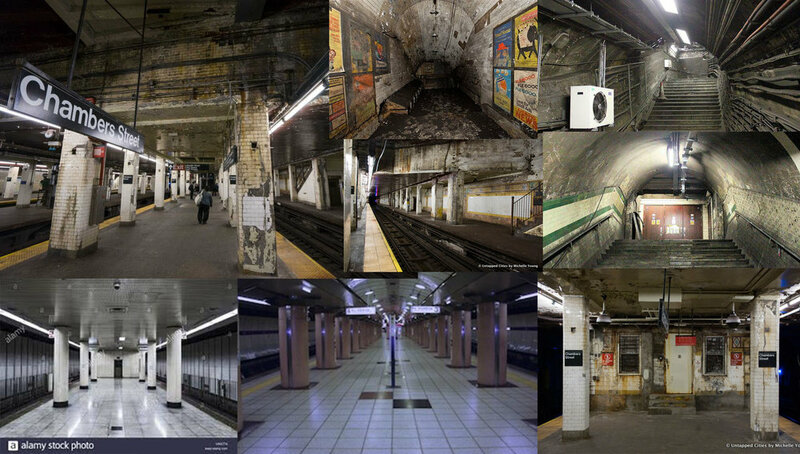 I choose a subway because it provided me with a claustrophobic environment where it would be easy to lead the player where I wanted them to go and it gave me the opportunity to create a dark and oppressive place where I had better control of the light than if the level took place in an open environment. There were three scripted events that I wanted to focus on as I created this level and I will be explaining each of them below. 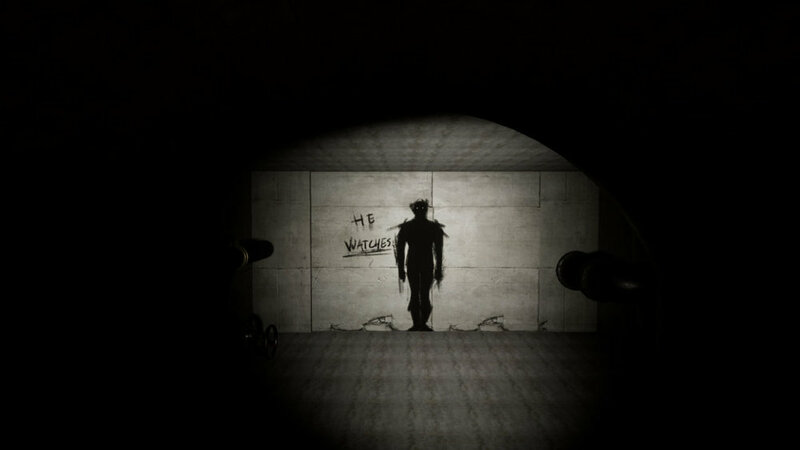 The first one takes place inside of a long tunnel of some kind where the player will see a silhouette of a person standing at the end of the tunnel. 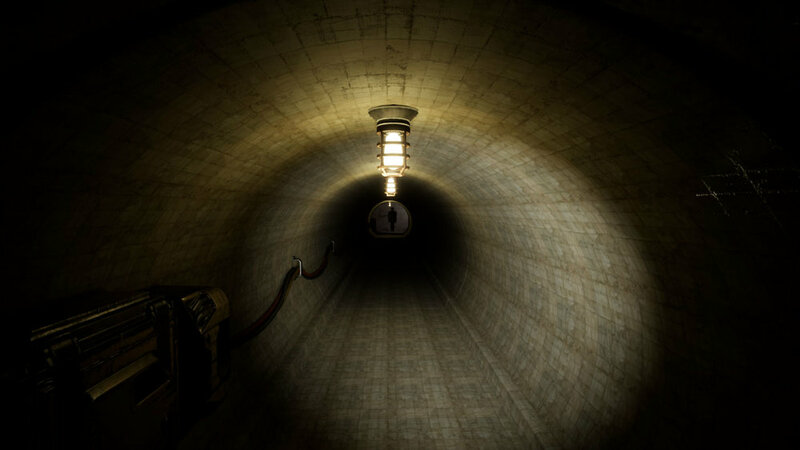 The player will soon realize that this silhouette is painted on the far wall and they will walk down the tunnel. When they turn a corner into a second tunnel they will be encountered with the same silhouette. The idea is that the player will become accustomed to the strange silhouette or outright ignore it. When the player then sees it a third time the silhouette will start to move. The second event I created because I needed the player to remain on the subway station without literally boxing them in with a wall that would not exist in a regular subway. If the player should choose to run along the tracks in any direction they will soon find themselves back at the same station that they left, seemingly without having turned around, giving them the illusion of having gone around in a circle while still having walked in a straight line. This is done deceptively simple using a Blueprint script that teleports the player to the other end of the station but only moves the player in the Y-axis, keeping the players own X- and Z-axis. This makes it appear that the player has not teleported as long as the to locations look like each other, which is the difficult part of the event. The third event is a classic horror trope that has been used and reused in both horror games and movies. The infamous corridor where the lights go out one at a time. At the end of the level the player will enter a long tunnel with lights hanging in a row along the ceiling of the tunnel. Once the player has walked far enough into the tunnel the light furthest away will go out in a hail of sparks. One after another the lights will go out until the player is left in darkness.